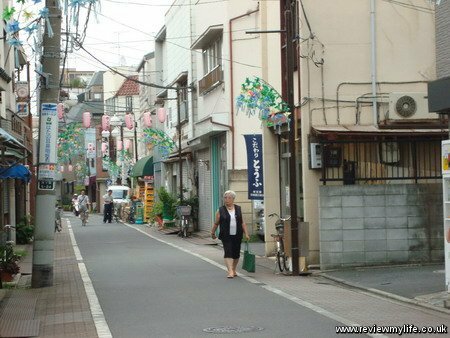 If you want to see something ‘non-touristy’ in Tokyo then taking a ride on the Toden Arakawa tram line is worth considering. 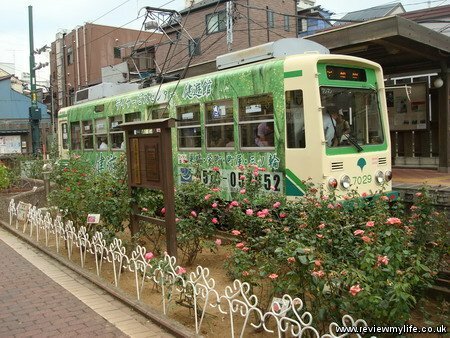 At one time Tokyo used to have many of these streetcar lines, but now only two remain. The Tokyu Setagaya line is the other one. 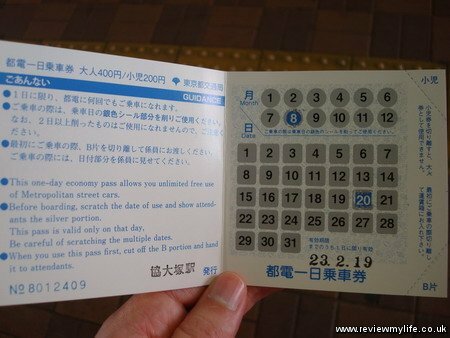 That one only has 10 stops, but the Toden Arakawa line has 30. The best way to see the area covered by this line is to go to one end, and then ride all the way to the other, getting off at any stops that seem interesting. The complete journey would take about 50 minutes if you did it non-stop. 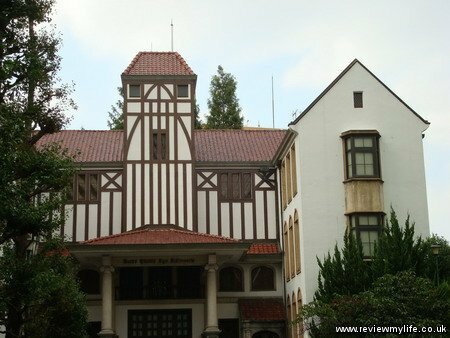 You can buy a day pass for ¥400 for adults and ¥200 for children. 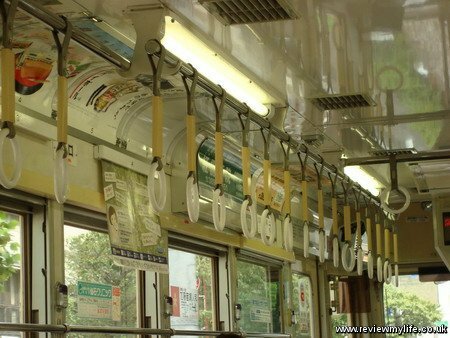 The trams cars are similar to the ones they have in Hiroshima with a mix of seating and standing room. The demographic of the people in this area is very different to central Tokyo. A lot of elderly people live here, and there are lots of hospitals and health care facilities. I don’t know whether the elderly moved here to be near these facilities or whether the facilities were built here because of the elderly people. There are some interesting roads with traditional shops selling traditional items catered for the local residents. They don’t get many tourists in this part of Tokyo so you won’t find all the usual touristy shops. 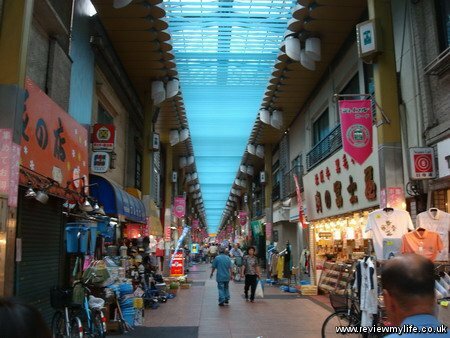 And at Minowabashi there is an old style covered shopping arcade – known as a shotengai in Japan. 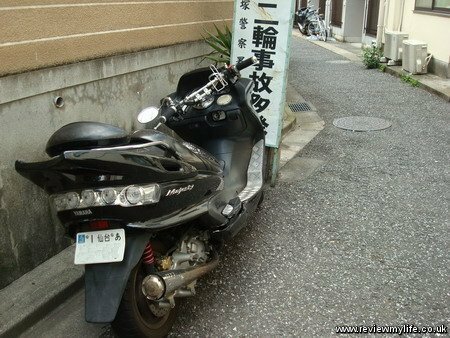 They have these in most towns and cities through Japan, but not in central Tokyo. 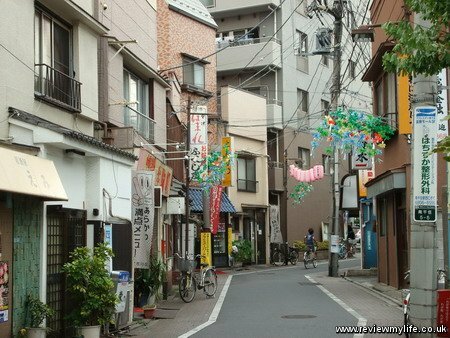 This is one of the few covered shopping areas in the Tokyo area. It isn’t all old people though. 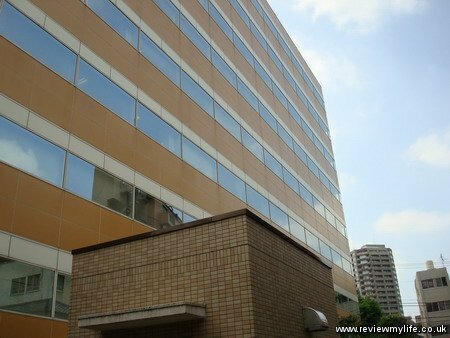 I found a the modern looking Waseda University. At the time I visited I saw prospective students visiting the campus to look around (it was the summer holidays). And there are other signs of younger people too. I can’t imagine any of the grannies around here riding this bike. 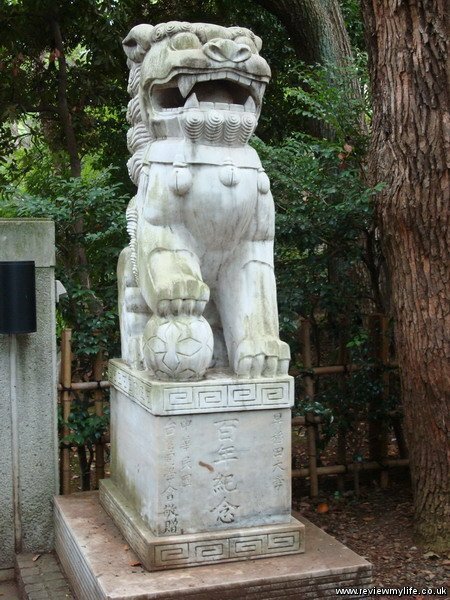 I passed some cool looking statues as well. This one looks like he is guarding a football. 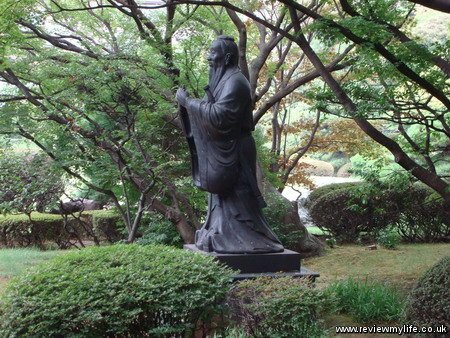 This next statue and the building in the following photo were in the university grounds too. 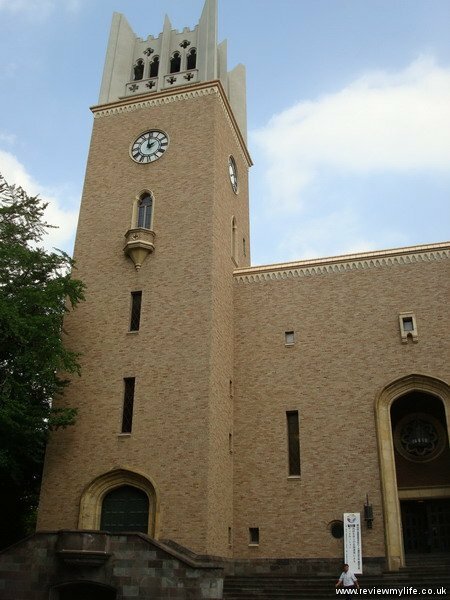 This church style building is another one belonging to the university. 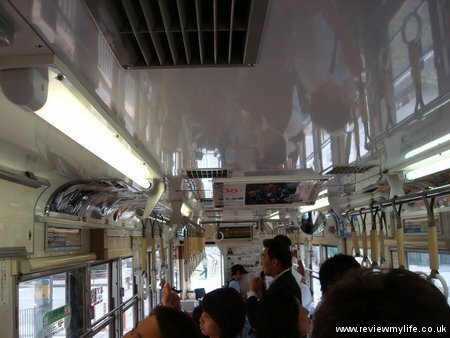 And finally back to the tram for the journey back to Otsuka. 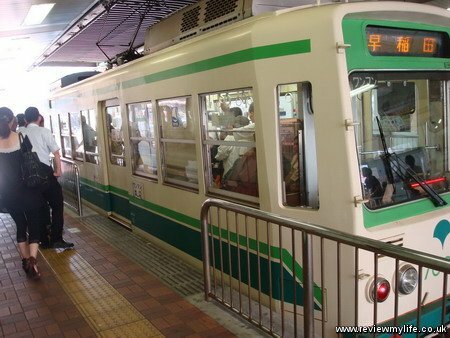 To reach the tram line from central Tokyo you can take the JR Yamanote line and get off at Otsuka station. 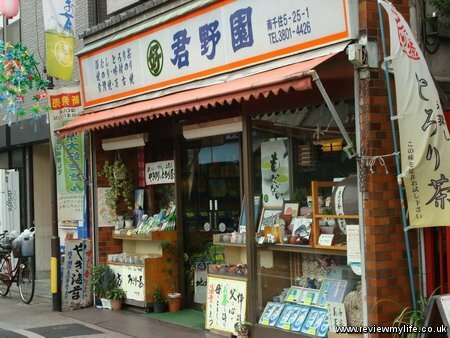 From Otsuka you can buy your Toden Arakawa Line tickets.